The village of Pedana in Andhra Pradesh can seem nondescript at first sight. But when you step inside and take a stroll through its lanes, you are sure to be greeted by a strange-yet-colourful spectacle: Metres and metres of brightly printed fabric lie strewn everywhere, whether it is on the terraces, streets, on clothes lines and even in front of the houses. 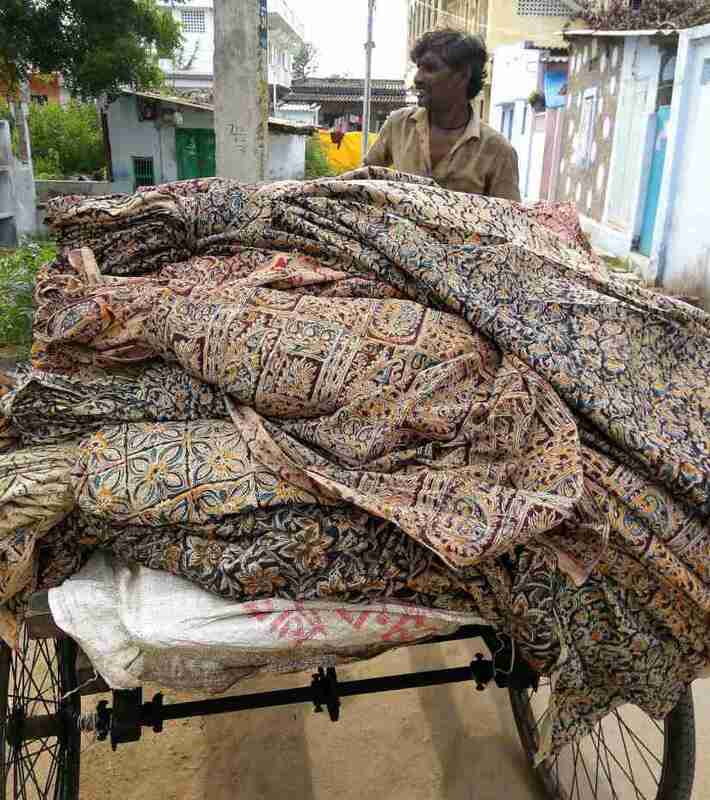 Pedana, located 70 kilometres away from the bustling city of Vijayawada, is the manufacturing hub for the renowned block-printed Kalamkari fabric. Derived from the words ‘kalam’ and ‘kari’, which translate to pen and craftsmanship respectively, the art of Kalamkari dates back to several centuries and is believed to have first originated in Iran about 2500 years ago. History has it that Kalamkari has been in existence in India since the last 2000 years and in two unique styles, the block-printed as well as the hand-painted variety. 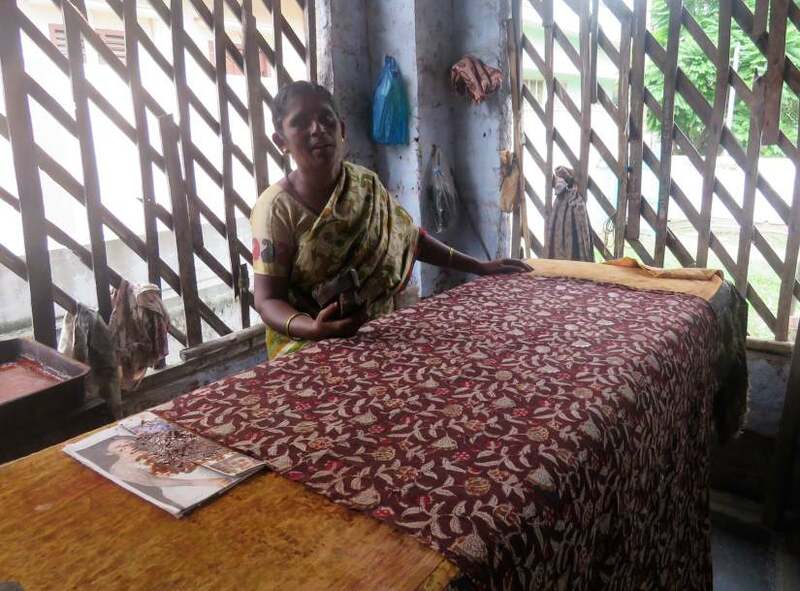 While the hand-painted variety is practised in the Srikalahasti village in the Chittoor district of Andhra Pradesh, the block-printed variety is manufactured largely in Pedana. The craft is believed to have been very popular, and in great demand by the Persian traders who came to the country via the sea. They bought these fabrics in bulk and made carpets, furnishings and kurtas with them that they sold in their country for a huge profit. In the 16th and 17th century, these fabrics were patronised by the Mughals and Deccan Sultanates, consequently gaining popularity over the years. The process of manufacture of these fabrics is a complex and time-consuming one, entailing as many as over 15 steps. The process includes multiple rounds of dyeing, boiling, washing and drying. 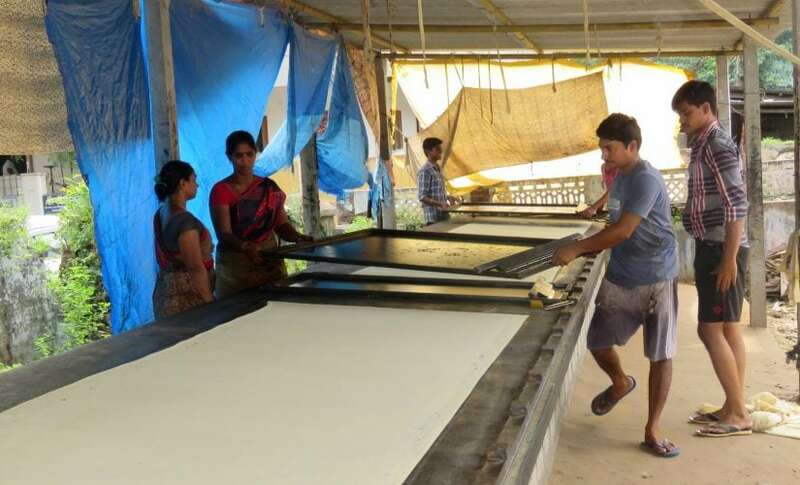 The first step is the procurement of the base fabric which generally happens in parts of Tamil Nadu and from Surat in Gujarat, where good quality fabric is available in abundance. The fabric is thoroughly washed and is then dyed ingenuously with 'karkaya' or the tannin-rich fruits of the Myrobalan (Terminalia chebula) tree. The fabric turns a pale creamish-yellow and is now ready for printing. The printing is traditionally done using wooden blocks coupled with vegetable dyes, but many have now resorted to using screen printing techniques. Once the basic design is printed on the fabric, the dyes are applied consecutively. In order to do this, the fabric is washed and boiled in large cauldrons with the required dye and a chemical called alizarin and a leaf locally known as ‘gaja'. These act as 'fastening' agents and help the dye to bind with the fabric. This process of boiling and washing is repeated each time a new dye is applied. Considering the fact that Kalamkari fabrics have a minimum of three to four colours, the process is indeed laborious. Traditionally the process makes use of natural, organic materials like extracts of leaves, flowers and fruits as dyes. Blue, black, red, yellow and green are the main colours used. Iron and indigo are used for black and blue respectively, while mango bark and pomegranate are used for hues of yellow and red. A solution of alum, tamarind and Indian madder root is used to obtain the signature red of Kalamkari. The theme of the prints and patterns is largely mythological, and bright colours like red, blue, green and yellow are used. 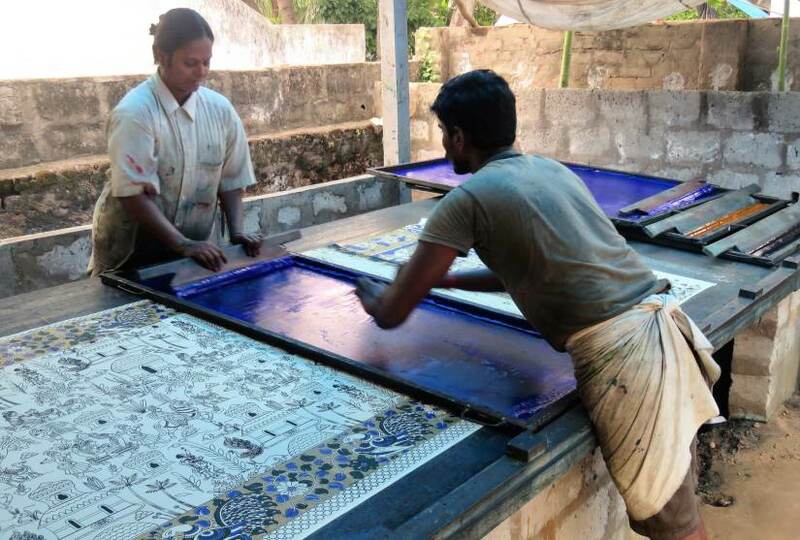 “Traditionally, the art represents the depictions of the Ramayana and Mahabharata, but to suit the modern demands of the present generation, techniques of block printings are being amalgamated into the process and new kinds of motifs are being created by craftsmen such that the fabrics have a global appeal. New-age techniques are being introduced to turn this art form into digital prints as well. 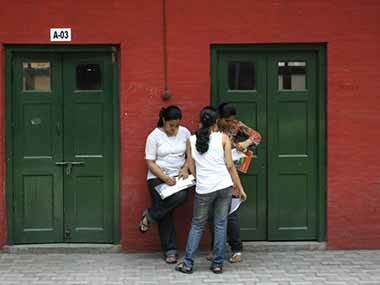 Moreover, the dyeing techniques have also been improvised,” says Mithi Kalra, a fashion designer. Images of Durga and Buddha are highly popular patterns observed in Pedana Kalamkari. 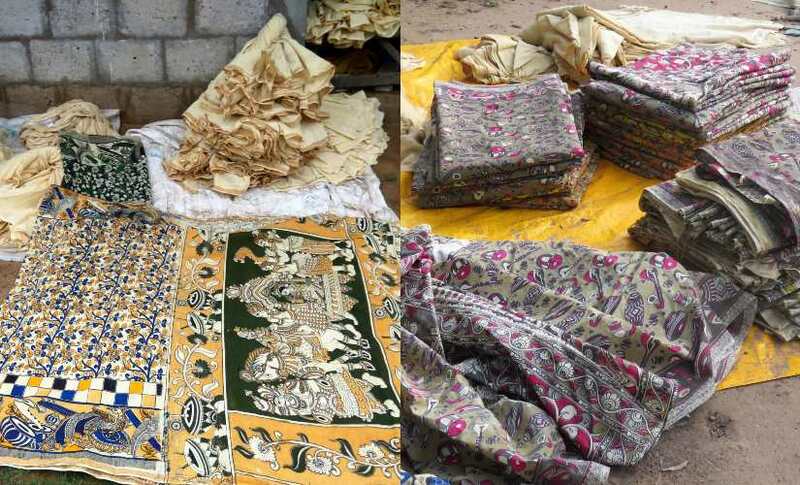 Like all handloom and native crafts, there are several factors that impede Kalamkari artists and weavers today. 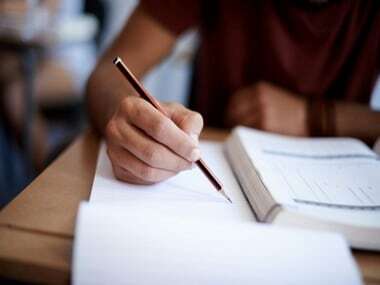 These include poor working conditions, increasing cost of raw materials, middlemen and the lack of access to working capital and credit facilities. Due to these problems, there is a lack of interest in the craft from the next generation of artisan families. On the contrary, there are lots of consumers and designers who vouch for the craft, and this kind of fabric is now available in most major cities. An initiative called AadikarInk Designs looks at bridging this gap between the increasing demand and fading motivation to pursue the craft. "We work directly with the craftsmen to produce the hand-block printed fabric in its traditional form. We use natural dyes and all our fabrics are entirely printed by hand, just like the age-old technique... Our dresses showcase a huge variety of cuts, from comfort fits to skater and shift dresses. We also do a capsule collection of kurtis which are best suited for a formal set-up for working women," says Meghana Joshi, founder of AadikarInk Designs.